“Shape of You” took the world by storm in January 2017. It went on to win the title of best selling song worldwide that year and the next one it garnered the Grammy Award for Best Pop Solo Performance, just to mention two of the accolades that it has collected. These lines may be construed by some as glamorizing, glorifying, romanticizing and mythologizing the consumption of drinks containing ethyl alcohol, most commonly known as ethanol by chemists. Drinking alcohol has long been the favorite pastime of some people. So has gambling (defined as playing a game of chance for something valuable) with dice. When you integrate both leisure activities you get the ultimate vicious over-the-top game of GORL, which links the likelihood of drinking alcohol to the outcome of tossing a die. GORL is not well known in the United States. It is far more popular in Latin American countries. GORL is a game of chance in which the letter G means “guzzle,” the letter O means “oblige,” the letter R means “right” and the letter L means “left.” Miguel Rodriguez, a classmate at the Pontifical Catholic University, introduced me to this game back in the day. He went by the moniker of Miguelon. At his favorite bar, called “Life Is Worth Nothing,” he was patient enough to explain GORL’s basic requirements and rules to me. 6) Having a full glass of beer of at least 8 ounces in front for each player at the beginning of the game, glass that would be refilled to the top again every time it is emptied. ∗ If it falls one: The player who tossed the die guzzles his glass of beer to the bottom. guzzles his glass of beer to the bottom. Miguelon concluded his GORL master class by indicating that the game winner would be the last player still standing after the rest had been knocked unconscious by the binge-drinking. But before you and your best buddies rush to buy kegs and other beer paraphernalia to engage in GORL, please bear in mind that this could be fatal due to the systemic consequences of having a high blood alcohol content (BAC). A case in point is that of Timothy Piazza, an engineering student at Pennsylvania State University who last year engaged in another drinking game, called the Gauntlet, which first led to his getting a BAC of approximately 0.40 percent and then to his death. We have to take into account that all 50 states of the union have set a BAC 0.08 percent as their legal limit for driving while intoxicated (DWI). Fraternity brothers required Piazza to participate in the Gauntlet as part of his pledge process to said fraternity. (in the fiction and non-fiction genres). 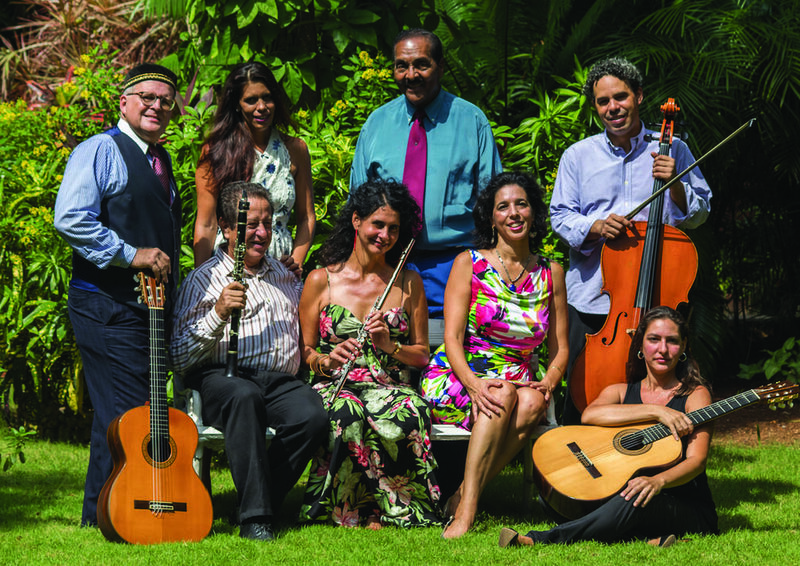 What is trova and how did it become part of typical Puerto Rican music? When is it heard? The trova is the poetic composition composed to be sung. It is the typical music of our ancestry. 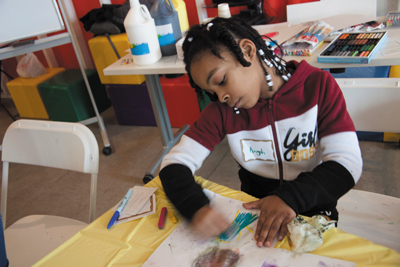 The trova is significant as a cultural expression. It is heard all year, although some relate it mostly to the Christmas season. Like most Puerto Ricans who emigrate to the United States in search of a prosperous future for their families, 48 years ago, my parents and their 11 children did the same. One of those children was me. Although I came to Rochester as a young man, I have never stopped longing for my beautiful island, our culture and the neighborhood where I was born. That’s how music became my refuge, becoming the consolation of longing for the soil where I was born. From here came my dream of one day to record a CD of typical music. The years went by and I continued to be involved in music with Pedro Núñez, the Maso Rivera of Rochester who may rest in peace and Marcos Santiago, among others. Even if the temperature was below zero, I did not miss a “parranda”. Six years ago I started trying to make my dream come true, but for one reason or another I could not achieve it. One day, talking with my wife Margarita, I decided to start communicating with friends who are involved in the music to see if I could achieved my purpose. 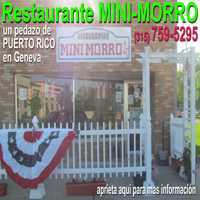 I spoke with my friend Eliú De Jesús in Florida, who put me in touch with Josean Feliberty Colon in Puerto Rico and I from Rochester, NY, how would we achieve this get-together? 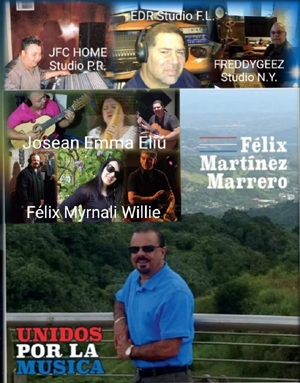 It was this way that JFC Home Studio in Ciales, PR, Freddygeezstudio in Rochester, NY, and EDR Studios in Groveland, FL, joined by the music and started my long-awaited project. We started to decide which topics we would include: seises, aguinaldos, trullas… The recordings began in three different studios, “UNITED BY THE MUSIC”. Everything was ready with plans to go on the market in October 2017 and Hurricane María hit PR. It was necessary to postpone the release of the CD. Originally the CD included eight songs. During the wait and hearing about the suffering of our Puerto Rican brothers, we were inspired by the last song which became the number one on the CD “Puerto Rico Rise Up” (Puerto Rico se Levanta in Spanish). Now the CD contains nine songs with five styles of six, three aguinaldos and a trulla. Each one with an original message of nostalgia for the country, a love story, a biblical message, a cultural controversy, a tribute to Don Pedro Núñez, among others. 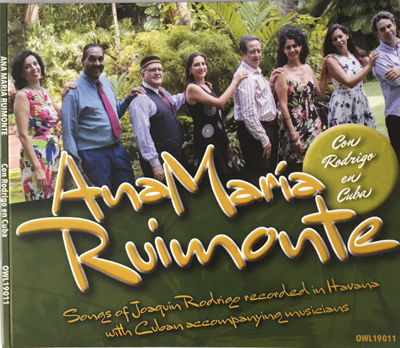 By obtaining this CD, you will join us, through music, to promote our cultural heritage and although far from the Puerto Rican soil, we will always carry it proudly in our hearts. 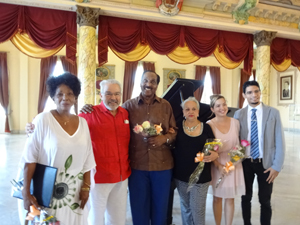 While I was in Havana in June, the one and only maestro Huberal Herrera invited me to attend a beautiful concert titled “Spanish Cuban Romantic Music from the 19th Century” at the “Palacio de los Matrimonios” (Marriage Palace in English), on Sunday, June 24th at 11 am. The pianists Lisa María Blanco and Yanner Rascón played delightful compositions by Cecilia Arizti Sobrino and Nicolás Ruíz Espadero, and the actress Natasha Díaz read poems by Gertrudis Gómez de Avellaneda and José Martí. But what excited me most was what followed: The performance by the maestro Huberal Herrera who played The Beautiful Cubana by José White and also five great compositions by Hubert de Blanck: “Study in e minor”, “Over the tomb of Ma-ceo”, “Viennese Waltz”, “Toccata in A minor” and “Variations on the Hymn of Bayamés”. These pieces were characterized by a progression of slow and fast rhythms; ascending and descending arpeggios across the entire eight octaves of the piano; deeply profound, pedal tones reflecting the solemn sections; sweet waltz rhythms; influences of Bach and Wagner, contrapuntal fugues with variations and cannon; agile strumming, staccato, trills and theatrical expressivity. The pieces demonstrated maestro Herrera’s range of expression and facility in this gorgeous collection of pieces by the composer. The story of Hubert de Blank exhilarates me. When he was young, Belgium’s King Leopold the Second awarded de Blanck a grant to study music wherever he decided. Then de Blank traveled to Colonia in Germany. There he met a Brazilian violinist, Eugene -Maurice Dengremont and they create a duo together. They toured throughout Europe and in the Americas they performed in Rio de Janeiro, Buenos Aires and New York. 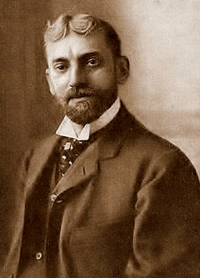 Hubert de Blanck gained a position as professor of piano at the College of Music in New York; where he met the Cuban Ana María García Menocal and they married there in 1881. They went to Havana for Christmas in 1882. 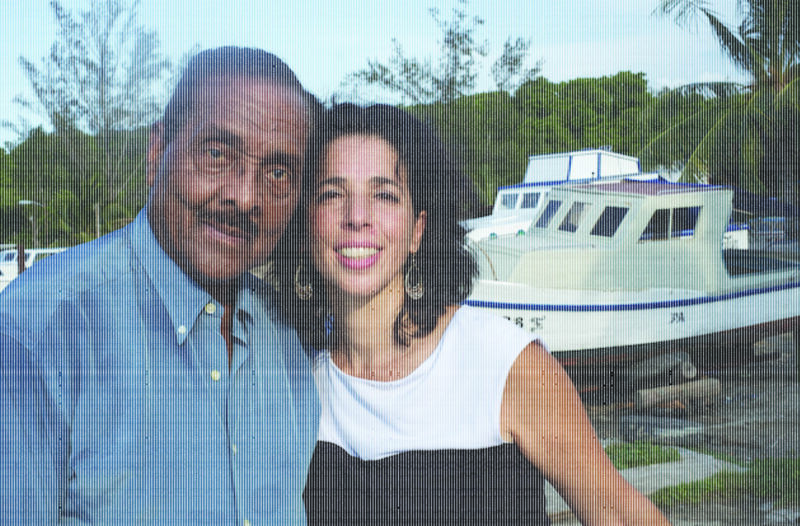 Just one year later, the couple moved to live in Havana. They had 5 sons, the oldest named Guillermo. When Ana María died, de Blanck married Pilar Martín and they had 3 more children. 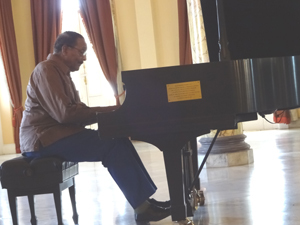 Hubert de Blanck incorporated the music and rhythms of Cuban into his musical life. He obtained Cuban citizenship and in 1885 founded Cuba’s first Conservatory of Music, which to this day bears his name and continues to train the best young Cuban musicians. Eventually, de Blanck was forced into exile as a result of his politics, particularly his pro-independence activism. He composed many piano pieces, and also the opera “Patria” (Homeland). He is buried in the Colon cemetery in Havana. Maestro Huberal Herrera is the most recognized interpreter of the music of Hubert de Blanck. Indeed Maestro Herrera owns an extensive collection of his compositions, some otherwise unavailable, given to him by de Blanck’s son Guillermo Menocal, who was Herrera’s teacher. Such an exceptional composer and magnificent interpreter! Ana María Díaz was born in Madrid and obtained her Master of Arts in voice with the specialty of Opera at the Escuela Superior de Canto in Madrid. Presently, she lives in Philadelphia. Opera singer and writer of reviews of opera and other artistic activities, she is President of Owlsong Productions, Inc. Ana María Díaz belongs to the duo Soprano Meets Contrabass with her husband Alan Lewine, performing original arrangements of arias and songs for soprano and jazz contrabass with flamenco influences in the recital “800 years of music in less than 2 hours”. Ana María Díaz is a member of Opera America in New York, UNIMA-USA, Early Music America and Women in the Music. Ana María Díaz has written and produced a bilingual musical Baroque theatrical performance titled “Burn, Heart, Burn” as a commemoration of the artists from 17th Century Spain and America with puppets using elaborate period costumes, songs and brief stories. The songs are recorded in her CD “Arded, Corazón, Arded”. 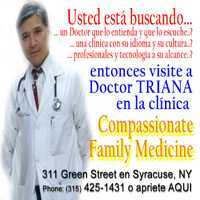 Ana María been collaborating with “CNY Latino” Newspaper with her column titled “Burn, Heart, Burn” since the beginning of 2015. 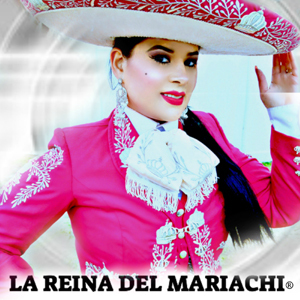 “Queen of Mariachi” Prepares New Album! If someone enjoys singing ranchero music that is THE QUEEN OF MARIACHI, (“La Reina Del Mariachi” in Spanish) Katherine Glen. The name that her audience baptized her with for many years! 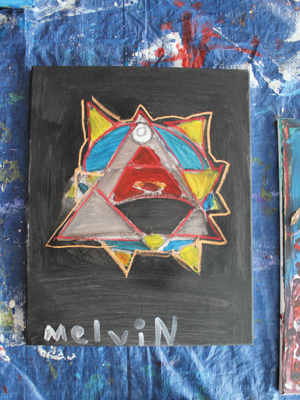 An artist born in the United States who interprets Mariachi songs for all Latinos and New Yorkers alike. A singer with a lot of Charisma that fills the audience with sold out shows. La Reina del Mariachi (The Queen of Mariachi) is also a writer, who has published 10 books of poetry, revealed details of the preparation of her musical album. “There are 6 songs that I wrote with a lot of love for all my fans. I recorded at a studio where celebrities such as Mariah Carey and artists of the Sony Music caliber recorded”, explained. With Colombian parents, La Reina del Mariachi fell in love with Mariachi music since she was little, when her mother bought a record of this genre and decided to change the vallenato and salsa, by the songs of Lola Beltrán, Juan Gabriel and Ana Gabriel. “The first song that is on my album of the released songs is titled” La Reina Del Mariachi” and then follows, “How Much I Miss You”, “Baby Kisses”, “You Played with My Love”, “I Want to Know” and “Like a Dove”. These are the themes that I wrote many years ago and that tell a story. I have sung many songs in the genre of Mariachi, but for me, these songs have been the hardest to interpret, said the star. “The first year that I competed in the First Univision Mariachi Festival, next to Mariachi Vargas and in which Ana Bárbara was a judge, was with that theme and I was among the first six finalists”, the only Winner in the state of New York. I have many songs written, since I like to write and every day I get inspired more!. She thanked all the community and followers for the support they have given her during her career. “My followers are mostly Mexican, but I have fans from all over the world, although I am especially grateful to the Mexican community because throughout my career they have opened the doors”, she said. Next week she will perform on a Telemundo Network program and then start her promotional tour. “I have planned the promotion of the album in California, Miami, Mexico and Colombia; on radio and television, “concluded Glen, who has opened concerts for Juanes, Shakira, Marco Antonio Solís and many more! 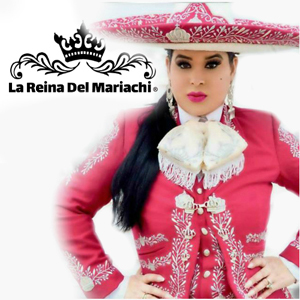 Find her on youtube; La Reina Del Mariachi and on google play, iTunes Mazon and all digital platforms or you can go to her website at www.La-Reina-Del-Mariachi.com. The Beyond Broadway Workshop Series (BWS), an interdisciplinary (acting, dance, music) professional development workshop and outreach program with professional teaching artists from Broadway, Film and TV, was started by Luis Salgado and R.Evolución Latina (RL) an organization that utilizes the arts to empower the Latino community. Now in their tenth year, RL is partnering with Pregones/Puerto Rican Traveling Theater (PRTT) and their historic Raúl Juliá Training Unit for this year’s BWS, offering excellent, affordable training, combined with rehearsal and performance opportunities, training students to face challenges, building their self-confidence while cultivating the leadership skills necessary to unite and inspire. 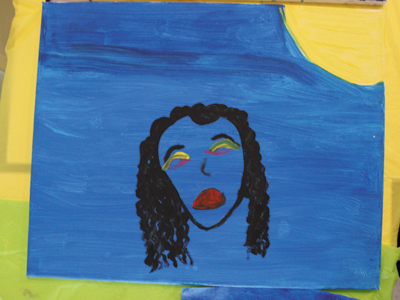 Using select text from Shakespeare, integrating music and dance, the BWS will culminate in a devised piece of theatre, developed by the RL creative team supported by PRTT’s Raul Julia Training Unit, and will be performed at the Harlem School for the Arts. 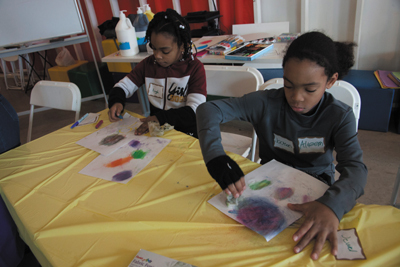 In order to constantly grow as artists and activists, those selected to be members of BWS’s Class of 2018 will have performance and outreach events throughout the workshop and throughout the year. 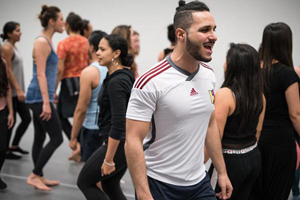 “Partnering with R.Evolución Latina’s Beyond Workshops Series is a coherent, exciting step for our Training Unit. 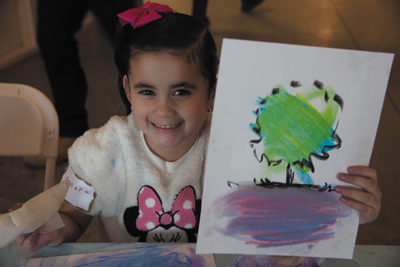 We have a common goal and commitment to rigorous arts training, and to creating exciting opportunities for growth and impact in our communities,” states Rosalba Rolón, Artistic Director Pregones/PRTT. 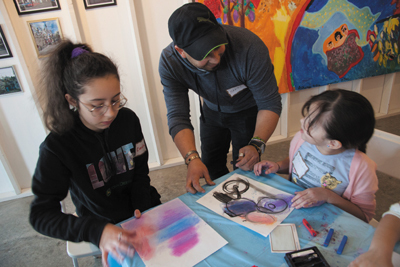 RL has provided approximately 30 scholarships between Mexico, Colombia, Argentina and beyond, to continue to inspire young professionals and expose them to an overall artistic experience in NYC.